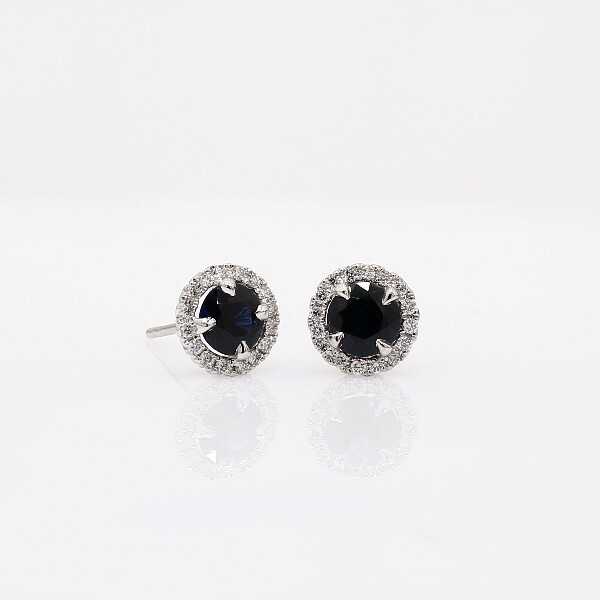 These deep blue sapphire and diamond halo earrings are an excellent choice for someone who wants to add a bit of color to a classic style. Crafted in bright 18k white gold, these gemstone stud earrings feature round sapphires surrounded by sparkling halos of micropavé diamonds. Their petite size makes them a great everyday jewelry option.